Customers place orders through your regular store. Meaning, they will pay using the payment methods you have set up and the money goes to you. Once an order is placed Two Tap has to buy the products from the suppliers. In order to fund those transactions you have to deposit money with Two Tap. You can do that via credit card or ACH. If there aren't enough funds available you will receive an email about topping up. 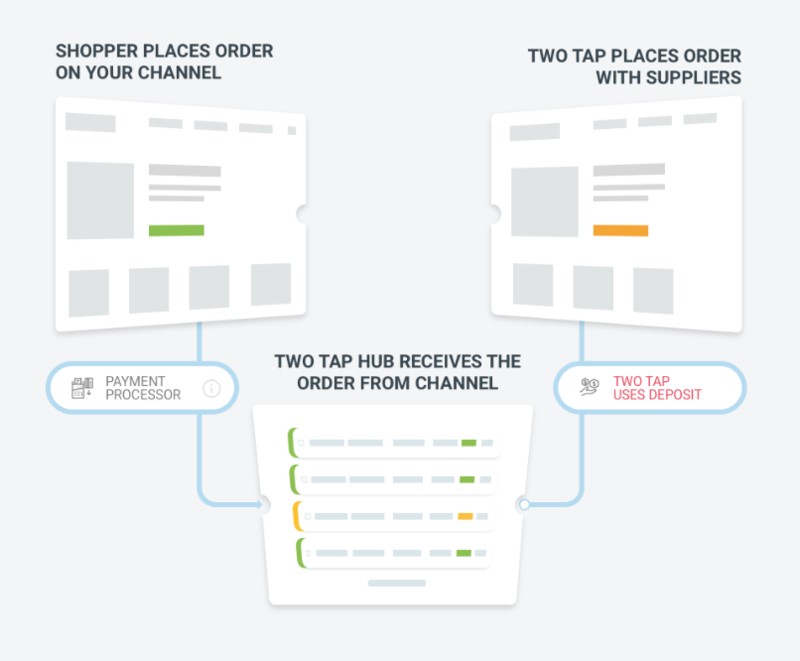 Two Tap will add money your deposit from commissions offered by the suppliers 30 to 60 days after the order was placed (per their individual payment terms).